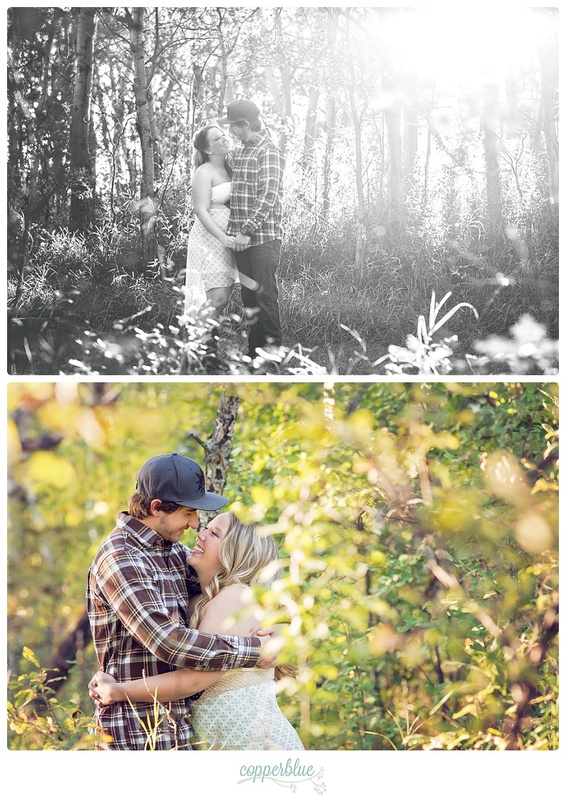 I joined Ashlyn and Justin on Justin’s beautiful acreage outside of Saskatoon for their autumn engagement session. 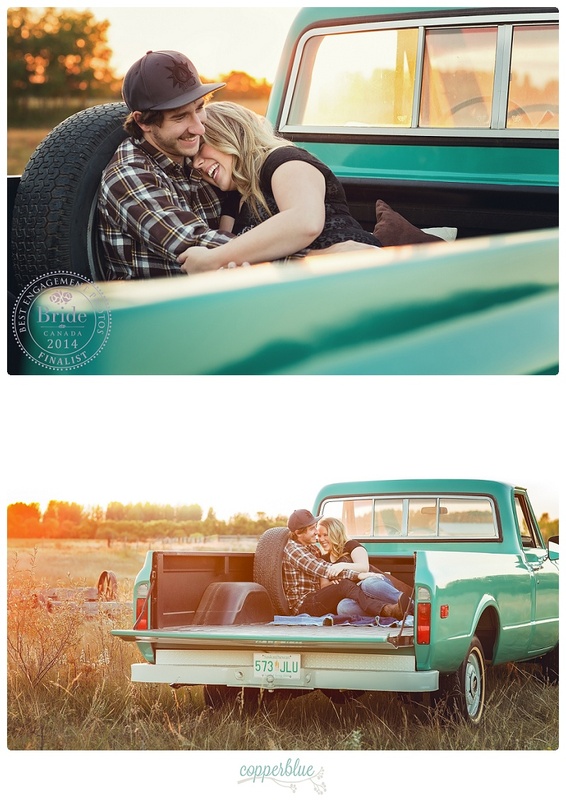 They had all sorts of fun ideas for their engagement photos… Justin (lover of all things Chevy) got a truck in their wedding colors for them to snuggle up in! 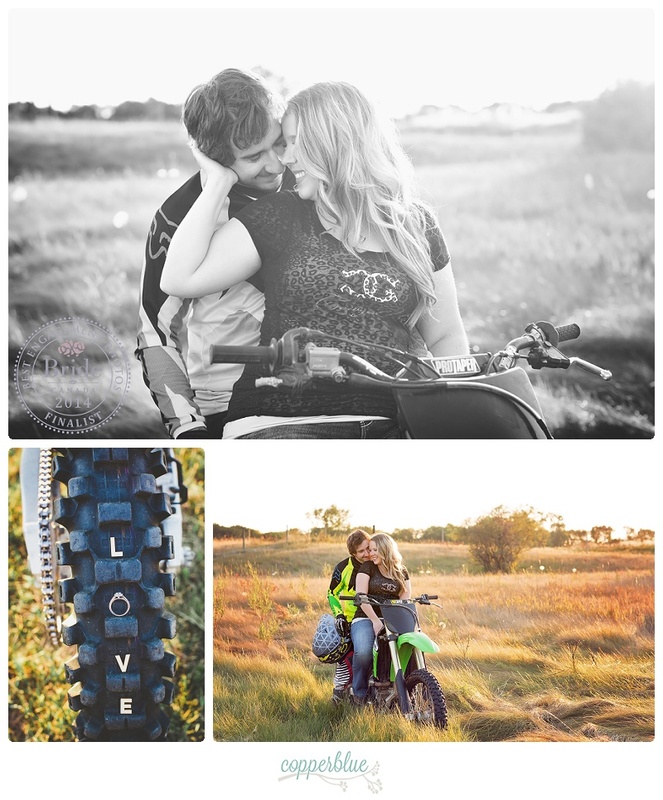 That evening light in their wild backyard was absolutely to die for, and we even incorporated Justin’s love of dirt bikes! I’m especially proud of this session, as not one but two images were shortlisted for Bride.ca‘s 2014 Best Engagement Photo award. 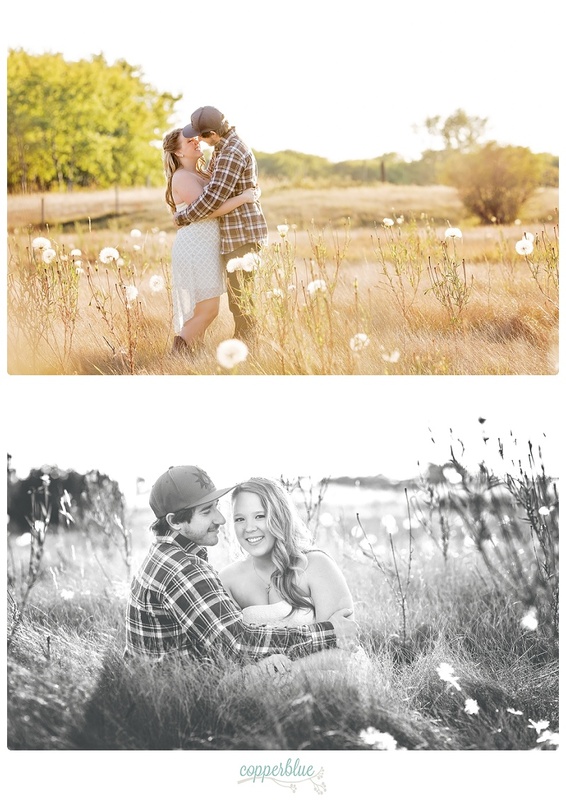 It didn’t hurt that I was working with a couple so obviously in love and excited about their future together :) Here are some of our favorite images from the evening. 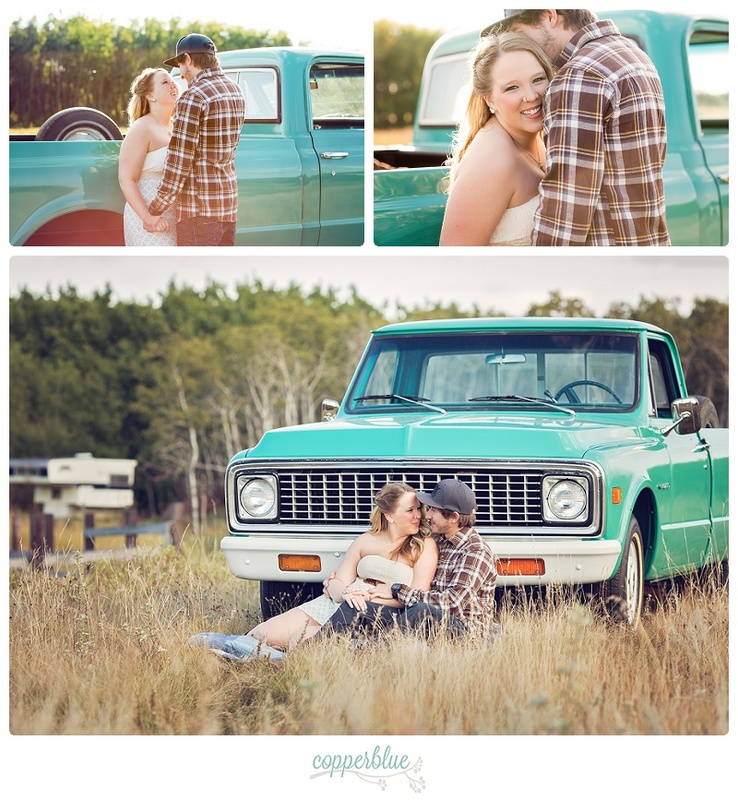 I absolutely cannot wait for their rustic May wedding, which will be held in this same stunning location. This is way too adorable!! Love it! Omg! The ring shot on the dirt bike is probably one of the most clever ring shots I’ve seen. Beautiful images!